The National Executive Council meeting scheduled to take place today by the ASUU leadership has been suspended. 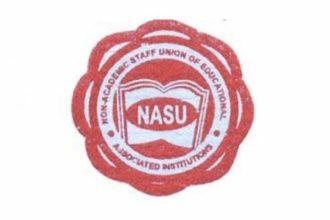 ASUU National President, Nasiru Fagge, stated this on Wednesday afternoon. The meeting which was initially meant to take place at the Bayero University, Kano wasreportedly suspended due to the unfortunate death of Festus Iyayi, former ASUU president, who died in a car crash yesterday on his way to the said meeting. Mr. Iyayi was involved in a ghastly auto accident allegedly caused by the convoy of the Kogi State Governor, Idris Wada. Several delegates needed to make a decision on the nearly five month old strike were already in Kano before news of the postponement trickled in. ASUU has been on strike since July 1 and the NEC meeting was to deliberate on the resolutions of various chapters of ASUU on whether the strike should be suspended or not.